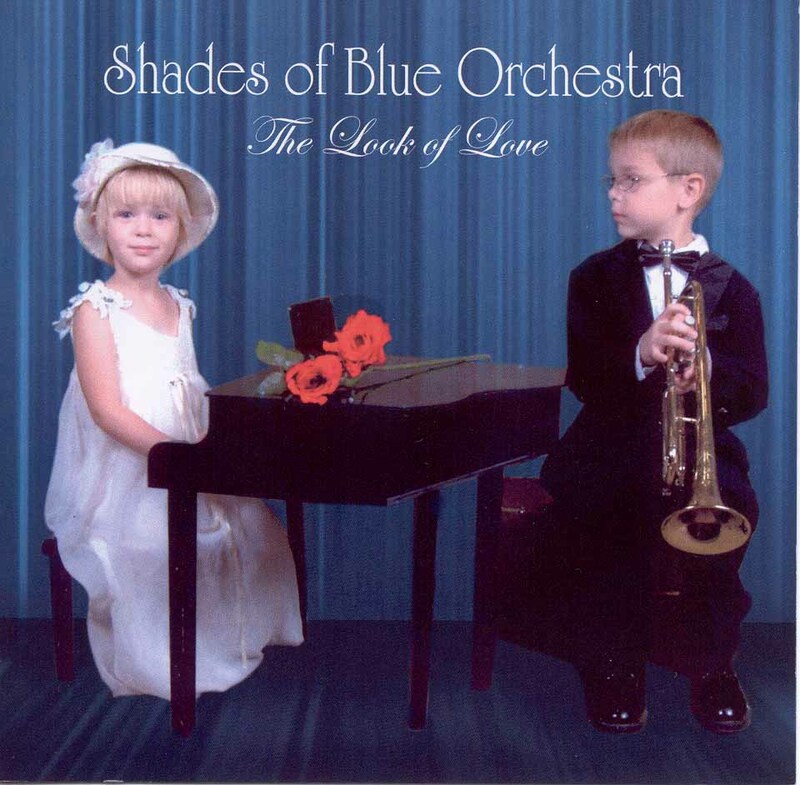 "The Shades of Blue Orchestra had the crowd hopping..."
"The Shades of Blue Orchestra is great." 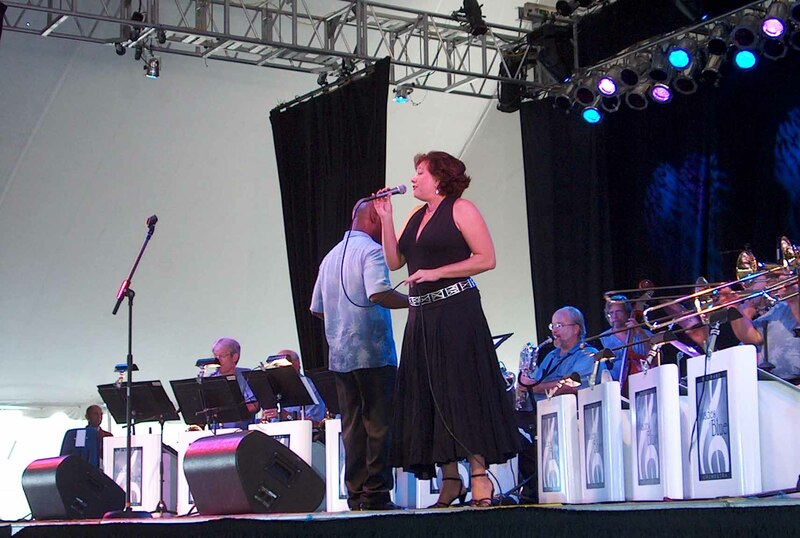 -- Washington Post On-Line "A fabulous Big Band that rivals the greats." The SHADES OF BLUE Orchestra Web Site last updated: Monday, April 15, 2019, at 11:30 PM. Have you acquired your Shades of Blue The Look of Love or Dreamsville CD yet? Click here for an outstanding musical experience! Selections from Shades of Blue's Dreamsville CD are playing on Music Choice !! Check it out! Selections from Shades of Blue's Dreamsville CD are playing on the "Singers & Swing" Music Choice channel. This Music Choice channel is available on Comcast Cable (ch. 438), Verizon FIOS (ch. 1837), Time Warner Cable (ch. 638) and Cox Communications (ch. 938). Hip-Hop? Rap? Techno? Alternative? No, even better! Check the Upcoming Performances page for more information. Want to delight your guests with the best in variety entertainment for your big event? Consider inviting Shades of Blue to the party! Catch Tony and the Liberto Sisters at Shades of Blue performances in 2019! Oh, my! What talented vocalists with amazing voices, wonderful vocal stylings, and a fresh approach to the Great American Songbook. 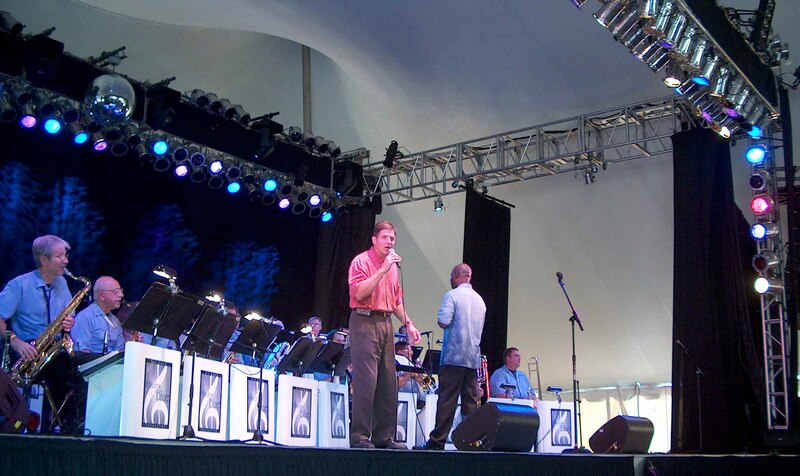 Come experience the Shades of Blue Orchestra, the one-of-a-kind Tony Liberto who sounds a little like that Frank guy, and the great voices and harmonies of the Liberto Sisters. The Shades of Blue 2019 performance schedule is steadily growing. Our 2018 summer schedule was incredibly entertaining and fun, and 2019 promises another great set of events. Keep an eye on the SBO site for more information as it becomes available. Nothing beats the musical style and sound of a variety Big Band! 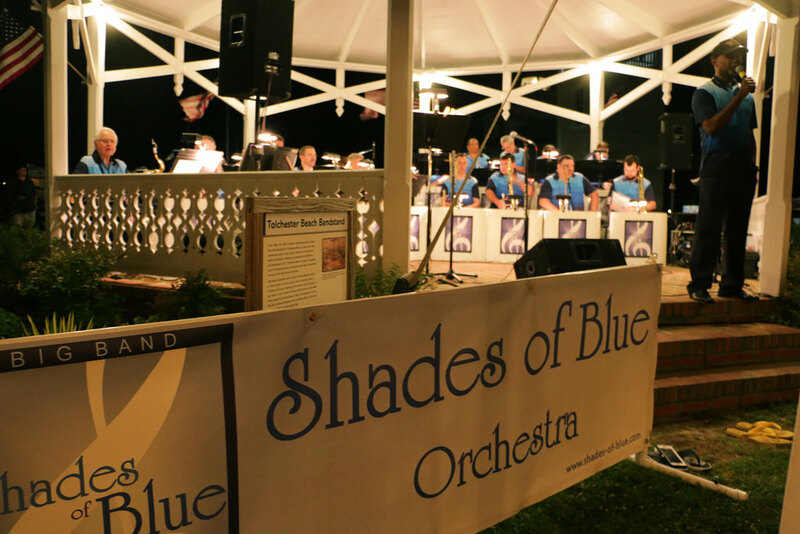 Consider Shades of Blue for your wedding reception, private or corporate function, dance, concert, or other special event. You're excited about your special event -- maybe your special day to be remembered for a lifetime. You've imagined what it will be like and you've begun the tedious and sometimes hard work of planning for a flawless event. There are many pieces that must come together as you prepare for a special and unique experience for your guests or audience. When it comes to entertainment, the CD spinning of a DJ or a looping songlist on an iPod just won't do. An essential ingredient of outstanding events will be missing -- the shear energy and dynamic value of live music. But don't settle for just any live music. A genre band means you're likely to make some people happy and most people not. And small ensembles often sound the same regardless of the song era being played. Consider a Big Band! Nothing beats the musical style and sound of a variety Big Band! Perhaps that's why Big Bands have been on the American music scene for over seventy years. Expect unparalleled musical entertainment of various styles from various eras, great ensemble sounds, live energy, and Wow!-power. Make your event a PARTY people will remember! And no Big Band delivers this any better than the Shades of Blue Orchestra. Excellent music, great dance-ability, outstanding vocals, and stylish!  With Shades of Blue, no one goes away saying they did not hear something they liked. And that makes for a successful, memorable event. Featuring the outstanding vocal stylings of Tony Liberto and The Liberto Sisters, Shades of Blue is that very special ingredient that will make your next event an audience favorite! Available... Shades of Blue's well-received CD!! This 2nd CD and song collection from one of the regions finest Big Bands raises the bar! -- Classic and variety Big Band selections, superior vocals (including that Sinatra sound), and a collection that will have you dancing and romancing. Enjoy the wonderful Latin rhythms of The Look of Love, The Girl From Ipanema, Save The Last Dance For Me, and I Remember You. Relax to the beautiful ballads of At Last and That Sunday, That Summer. Experience the power of a Big Band with a classic instrumental arrangement of Wave. And of course, get that toe tappin' and those feet movin' to the great swing tunes of The Tender Trap, This Can't Be Love, Route 66, and Fever. And what a closing song for the album -- an outstanding rendition of Sinatra's That's Life. Click here for some sound clips. The Look of Love -- available for order directly from Shades of Blue. Click here to add a truly outstanding album to your collection.